Amidst the Pyeongchang Games, remembering Korea's martyrs. Published 2/13/2018. World. Seoul, South Korea, Feb 13, 2018 CNA/EWTN News.- As the 2018 Winter Olympic Games continue in Pyeongchang, the world is watching Korea for more than just sports. The sister of North Korean dictator, Kim Jong Un, was present at the games’ opening ceremony where athletes from both Koreas marched together under an inter-Korean flag. Vice President Mike Pence stated that U.S. policy will remain unchanged after his trip to the region. Pence said, “new strong sanctions are coming very soon and the maximum pressure campaign will only intensify until North Korea abandons its nuclear program” in a post on Twitter on Feb. 12. As tensions on the Korean peninsula remain high, Catholics there are likely remembering the witness of Korea’s first native-born priest, the martyred Saint Andrew Kim Taegon. “St. Andrew Kim Taegon exhorted believers to draw from divine love the strength to remain united and to resist evil,” said Pope St. John Paul II on his third and final papal trip to South Korea, in 2001. Korea’s first priest, Andrew Kim Taegon, was born 1821 into an aristocratic Korean family that eventually included three generations of Catholic martyrs. Kim’s great-grandfather died for his Catholic faith in 1814, decades before the first Catholic missionary priests arrived on the peninsula from France. “The first Christian community in Korea [is] a community unique in the history of the Church by reason of the fact that it was founded entirely by lay people,” said John Paul II at the canonization of 103 Korean martyrs, including Andrew Kim Taegon, in 1984. Andrew Kim traveled over 1,000 miles to attend seminary in Macau. 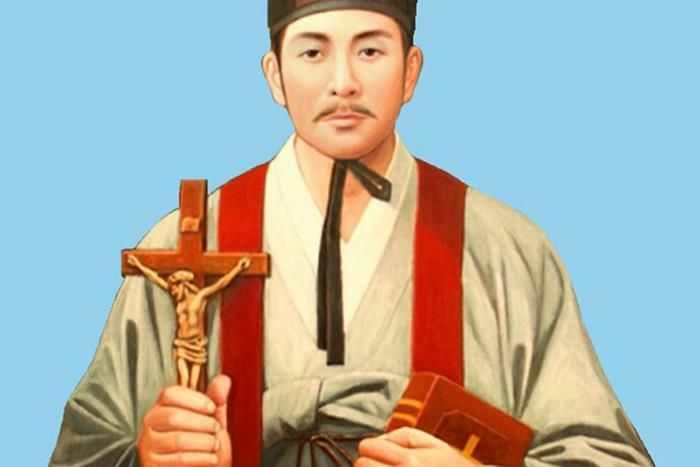 While Kim was away at seminary, his father, Ignatius Kim Chae-jun, was martyred for his faith in 1839. "Dearest brothers and sisters: when he was in the world, the Lord Jesus bore countless sorrows and by his own passion and death founded his Church; now he gives it increase through the sufferings of his faithful. No matter how fiercely the powers of this world oppress and oppose the Church, they will never bring it down. Ever since his ascension and from the time of the apostles to the present, the Lord Jesus has made his Church grow even in the midst of tribulations...I urge you to remain steadfast in faith, so that at last we will all reach heaven and there rejoice together. I embrace you all in love." During a century in which an estimated 10,000 Christians were martyred in Korea during waves of persecution by the Chosun Dynasty, Christianity continued to grow. “The splendid flowering of the Church in Korea today is indeed the fruit of the heroic witness of the martyrs. 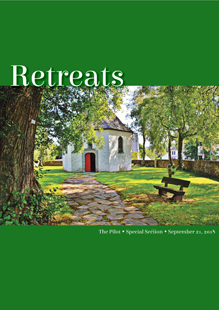 Even today, their undying spirit sustains the Christians in the Church of silence in the North of this tragically divided land,” said John Paul II at the martyrs’ 1984 canonization. In 1989, at South Korea’s Olympic Gymnastics Hall, Saint John Paul II again pointed young people to look to those martyrs, as the Korean people continued to grapple with the peninsula’s division. “Your martyrs, many of them of your own age, were much stronger in their suffering and death than their persecutors in their hatred and violence. Violence destroys; love transforms and builds up. This is the challenge which Christ offers to you, young people of Korea, who wish to be instruments of true progress in the history of your country. Christ calls you, not to tear down and destroy, but to transform and build up!” the Pope said.